The first lady made the remarkable move of calling for the official's ouster. Mira Ricardel, the president's deputy national security adviser, has been reassigned one day after first lady Melania Trump called for the woman's firing. In a remarkable development Tuesday, Melania Trump made a public call for the president's deputy national security adviser to be fired. Ricardel will depart the White House as Trump desired and be reassigned to another role in the administration, according to press secretary Sarah Sanders. "Mira Ricardel will continue to support the President as she departs the White House to transition to a new role within the Administration," Sanders said. "The President is grateful for Ms. Ricardel’s continued service to the American people and her steadfast pursuit of his national security priorities." 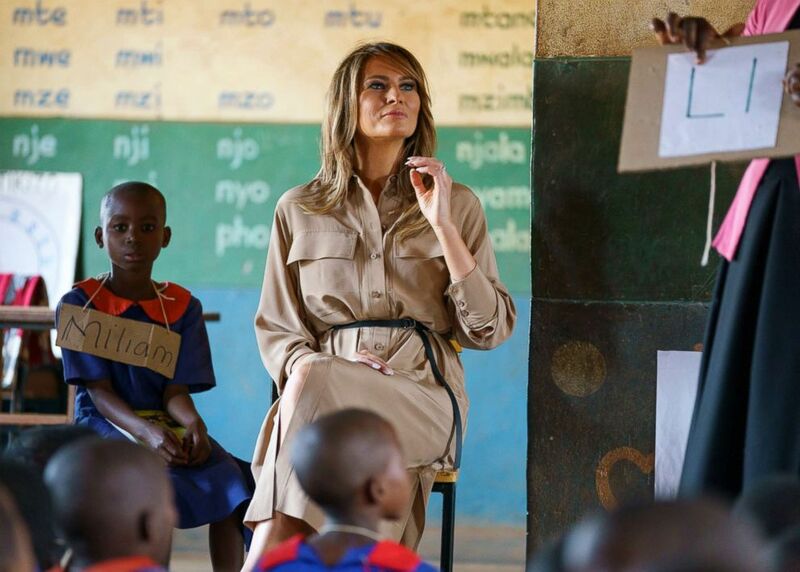 (Carolyn Kaster/AP) First lady Melania Trump sits at the front of a language class as she visits Chipala Primary School, in Lilongwe, Malawi, Oct. 4, 2018. Despite the White House drama, Sanders said earlier in the day Wednesday that Ricardel remained on the job. Vice President Mike Pence became the first major member of the Trump administration to comment on Ricardel's ouster at a stop in Singapore on his Asian trip Thursday. "I have great respect for her and her role," Pence said. "I look forward to her new role in another part of the administration." 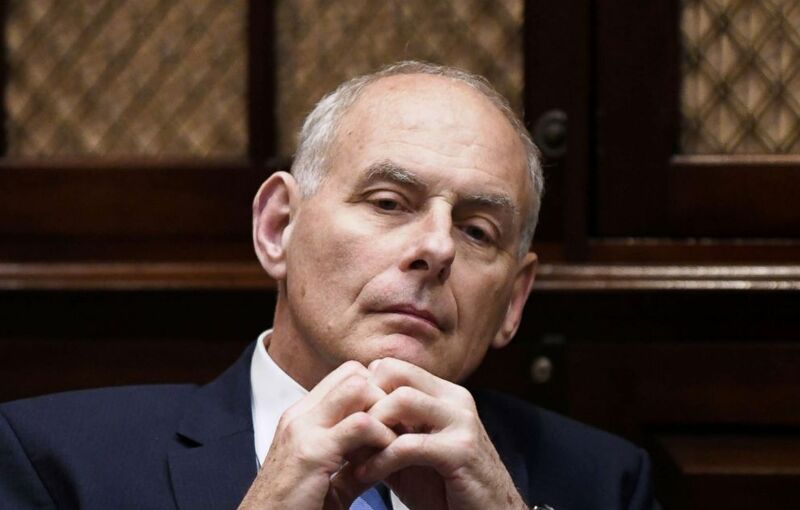 Even amid new rumbles about the potential impending departures of Homeland Security Secretary Kirstjen Nielsen and even Chief of Staff John Kelly, it is unusual for the normally discreet first lady to get so publicly involved in an administration staffing issues. The first lady's bombshell statement was released not long after Ricardel was seen smiling as she stood behind President Trump at an early afternoon Diwali ceremony at the White House Tuesday. (Olivier Douliery/AFP/Getty Images, FILE) White House Chief of Staff John Kelly listens to President Donald Trump during a working lunch with governors in the Roosevelt Room of the White House, in Washington, DC, June 21, 2018. Ricardel and Melania Trump's office most recently tangled over her solo trip to Africa. Mrs. Trump felt she had treated her staff disrespectfully, White House sources said, and Ricardel was seen as so difficult during the planning of the trip, according to sources, that the first lady’s team sought Kelly's guidance. The National Security Council did not respond to a request for comment. Ricardel was recruited to the National Security Council by the president's national security adviser, John Bolton. According to the Wall Street Journal, the first lady’s office believed Ricardel was behind negative stories and was known to not get along with Secretary of Defense James Mattis and at times sought to undermine him from within the White House. A White House official who requested anonymity noted in Ricardel's defense that she is one of the highest-ranking women in the Trump administration and that she has never met the first lady. 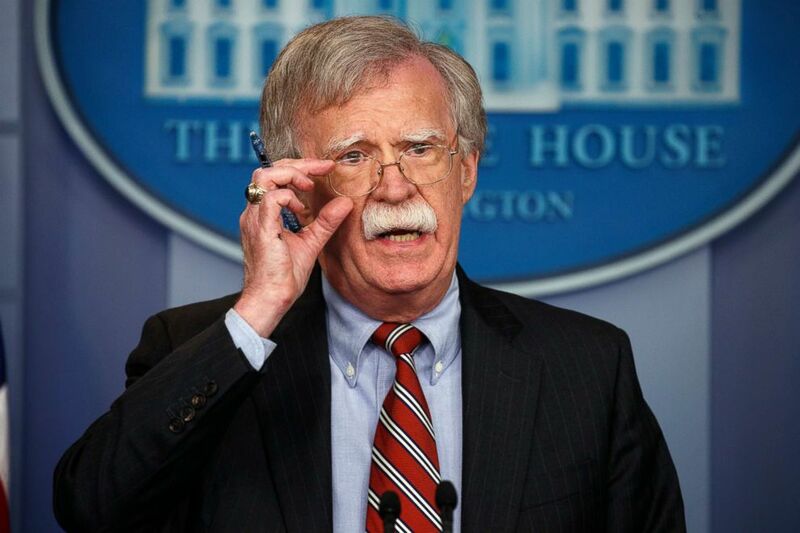 (Evan Vucci/AP) National security adviser John Bolton speaks during the daily press briefing at the White House, Aug. 2, 2018, in Washington. Trump told ABC News’ Tom Llamas last month, during her first sit-down interview, that she shares her opinions about people she doesn’t trust in the administration with her husband. “Do you think there's still people there that he can't trust?” Llamas asked. When asked Tuesday if he agrees with the first lady on Ricardel, Mattis told ABC News, "I don't comment on other people's staffing issues." ABC News' Elizabeth McLaughlin and Martha Raddatz contributed to this report.